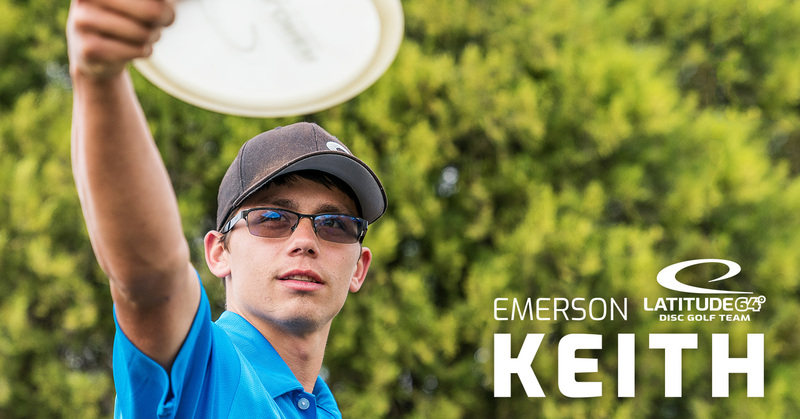 Latitude 64° is proud to announce that the partnership with Emerson Keith continues. He has shown all of us what dedication means after playing a staggering 58 events last year. The PDGA rating stats clearly shows his progress and development after each tournament he played. In November 2018 he won his first A-tier tournament at the Veterans Park Open, beating a number of top players. We wouldn’t be surprised to see more “firsts” from Emerson in 2019. 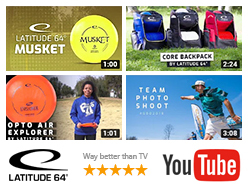 “The trust that Latitude 64° put into me has given me more confidence than ever. Re-signing with them was an easy decision. I look forward to what the 2019 season holds for me”, Emerson says. We are also happy to announce that the 2019 Emerson Keith fundraiser disc will be the Opto-X Explorer. “It will bring a consistent fairway driver to my bag that is very comfortable in my hand, very easy to throw and doesn’t take a bunch of power to get down the fairway”, Emerson says.